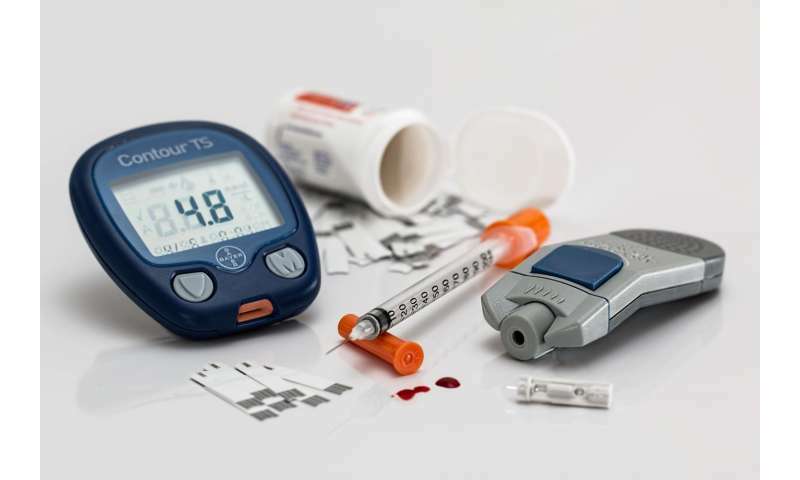 Type I diabetes patients typically inject insulin several times a day, a painful process that reduces quality-of-life. Injectable medications are also associated with noncompliance, which can result in long-term complications for patients with chronic disease and dramatic increases in healthcare costs. So, what's holding doctors back from prescribing a far simpler solution, like an insulin pill? Our own digestion systems are to blame—because in this case, they function too well for their own good. "Our bodies see any proteins that we ingest as food, even if this is a therapeutic protein drug like insulin. Proteins that enter the stomach are digested into individual amino acids and lose any intended therapeutic function," explains Katie Whitehead, assistant professor of chemical engineering at Carnegie Mellon University. Even if the drug was somehow able to make the journey to the small intestine without being digested, our body still wouldn't be able to absorb it. Large protein drugs do not permeate the intestinal lining, which means it is impossible for the drug to move into the bloodstream and start to work in the body. Whitehead saw this drug delivery challenge as an opportunity to join forces with colleague Alan Russell, professor and director of the Disruptive Health Technology Institute. With Whitehead's background in drug delivery systems and Russell's expertise in polymer-based protein engineering, the team developed a novel solution. Their research was recently published in The Journal of Controlled Release. Using a technique called Atom Transfer Radical Polymerization (ATRP) (which was developed at Carnegie Mellon by chemistry professor Krzysztof Matyjaszewski), the team created a packaged protein that survives digestion-like conditions and is easily transported across the intestinal barrier in a cell culture model. The protein used in this study served as a model for therapeutic drugs such as insulin. ATRP allowed Russell to attach a polymer to the model protein. Once attached, this polymer acted as a shield against digestive enzymes in the stomach. "Our team had developed a polymer that was very stable, enough that it would survive in hydrochloric acid," says Russell. "We felt confident that we could use this polymer to protect the model protein from the stomach, but the second challenge remained of selectively moving the model protein through the intestinal wall." To tackle this challenge, Whitehead identified a chemical structure called phenylpiperazine that increases the permeability of the intestine. By surrounding the protein in a polymer made from phenylpiperazine, the model protein easily passed across intestinal cell barriers. Notably, the research team increased the transport of the model protein without increasing the transport of other harmful compounds, such as waste products, across the intestine. "We are excited about this research because we have demonstrated that polymer conjugation can be used to achieve oral protein delivery. These findings give rise to many more questions that we look forward to tackling, such as how the polymer structure and architecture influence the delivery process as well as whether these results translate in vivo," says Whitehead. This project is thought by the researchers to be an important introductory step in their research towards developing oral drug delivery systems that can be tested and used clinically. How does your immune system react to nanomedicine? Being a type 1 diabetic for 35 years. please let this dream come true.